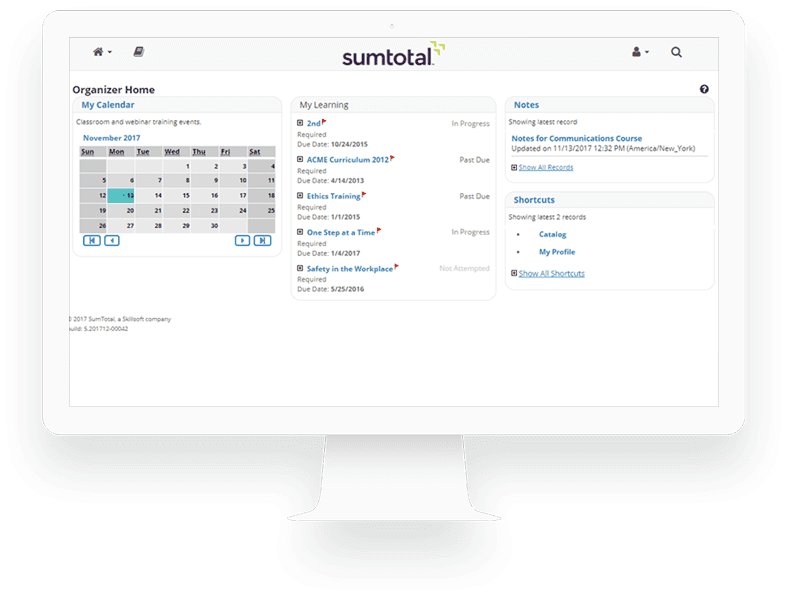 SumTotal Growth Edition Enables You to Start Developing and Training Your Employees Quickly and Easily. SumTotal Growth Edition is scalable and designed for fast growing organizations. It can be set up within hours for a quick deployment thereby enabling your users to access online training right away. Our solution is perfect for small and medium sized companies with clearly defined learning needs. To continue growing and innovating, organizations must get the best possible performance from every employee and provide the learning opportunities that result in an engaged and loyal workforce. Learning solutions must not only help the workforce be great now, but have the flexibility to grow and change with the organization in the future. With Growth Edition, you get a SaaS solution that lets you easily capture, create, manage, and share knowledge, while providing a fully flexible user experience. If your learning software doesn’t meet your learners’ needs, they will use it only when they have to and you’re left with minimal employee engagement, low satisfaction and dismal ROI. SumTotal Growth Edition gives you the freedom to focus on the needs of your learners and create a powerful user experience, so they fully embrace the benefits of your investment in learning. By combining the right functionality with comprehensive and modern content that’s easy to access, you deliver real value and deepen engagement. SumTotal’s Growth Edition solution is part of our unified HCM suite and is easily integrated with our Talent Acquisition, Talent Management and Workforce Management solutions to deliver one complete view of your workforce, thereby providing cross-functional value that no other solution can. Learning can be delivered in real time as part of your talent and workforce management processes, to ensure your people have the tools they need to always perform their best. As a result, SumTotal helps organizations significantly improve their people’s efficiency and effectiveness. TALK TO A SUMTOTAL REPRESENTATIVE TODAY! Want to Learn More About SumTotal’s Growth Edition?